Just over a month ago, Sony unveiled the 6.44-inch Xperia Z Ultra, the biggest phone-tablet hybrid ever. The Japanese gadget maker also confirmed that the oversized phablet would be powered by the Qualcomm Snapdragon 800 – the first handset to include the powerful new chip. While not yet official, Samsung’s highly anticipated Galaxy Note III is rumored to be packing the same S800 chip as the Xperia Z Ultra, rather than the Samsung-made Exynos 5 Octa-core monster. Yesterday, The International Business Times posted alleged GFX benchmark statistics for a Galaxy Note III running the S800 CPU. How do the official Xperia Z Ultra specs stack up against the most common hardware-related rumors swirling around the Galaxy Note III? The Sony Xperia Z Ultra will pack the largest screen yet for a smartphone, measuring 6.44 inches. Its Triluminous display has a resolution of 1920 x 1080 pixels, with 344 PPI – capable of displaying 16.7 million colors. The massive screen is stylus-compatible, but sensitive enough to accept ordinary pens or pencils instead. “Sony has also transplanted a few licks of its Bravia TV technology to result in a display’s that’s immediately noticeable as superior to pretty much everything else out there,” said HighlightPress. Much uncertainty surrounds the Samsung Galaxy Note III’s screen. Recent rumors suggest a display falling somewhere between 5.7 inches and 6.3 inches. It will use the same kind of Super AMOLED screen as the Galaxy S4, and will probably have the same 1920 x 1080 pixel resolution as the Xperia Z Ultra. Following the popular Note II, the Note III is certain to include an S Pen stylus. One of the biggest rumors surrounding the Galaxy Note III is the possibility of a flexible screen. Last month, reports from South Korea suggested that Samsung was developing the so called “unbreakable” displays for use in the new Note – possibly in an attempt to get a jump on similar technology from domestic rival LG. While both the Xperia Z Ultra and Galaxy Note III will be powered by Qualcomm Snapdragon 800 chips, they may arrive with slightly different variants. The Sony phablet will ship with a 2.2GHz version of the S800, while the benchmark results for the purported Note III suggest a 2.3GHz model. The Xperia Z Ultra will come with 2GB of RAM, while the benchmarked Galaxy Note III is alleged to have 3GB of RAM. Sony’s Xperia Z Ultra will feature an 8MP shooter on the rear with a 2MP shooter on the front. 8MP seems skimpy in the current market – especially when the flagship Note III is likely to come with at least the same 13MP camera found on the Galaxy S4. Other rumors involving Note III include it sporting a dedicated camera button and utilizing an optical image stabilization engine. The Sony Xperia line of smartphone has always been praised for its premium look and materials – as well as being both dustproof and waterproof. The Xperia Z Ultra is no exception. Samsung’s Galaxy line, on the other hand, is often criticized for favoring “cheap” plastic covers. The Note III, however, could change that. In April, infamous Twitter leaker @evleaks posted photos of an alleged metal unibody Note III. The tech spy holds an impressive track record as far as accuracy is concerned. 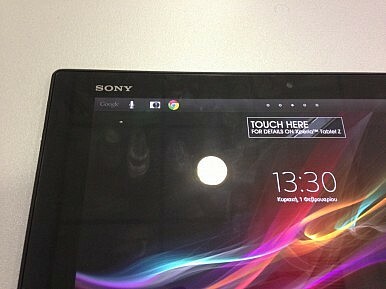 The Xperia Z Ultra will launch with Android 4.2 Jelly Bean, while the Galaxy Note III is said to come loaded with Android 4.3. AndroidCentral reports that the Sony Xperia Z Ultra will be available in the UK starting September 12. It will cost £600 (approximately $910). The Samsung Galaxy Note III is rumored for a September 4 release, ahead of the IFA conference in Berlin. It is likely to cost about £550 (approximately $800).